You may think a new bar has arrived in Echo Park’s Hi-Fi district — a sleek black and white sign and horizontal wooden slats beckoning you in — but Black Star happens to be a full-service building and design co-op founded by general contractor Matthew Pope. He’s responsible for many posh renovations and restorations around town, spanning bathrooms, masonry, arbors, decks, windows, furniture, to name just a few — from Echo Park to Eagle Rock, Los Feliz to Venice — and he’s decided on a new concept store in Echo Park. Matthew responded to some insightful Q & A about his new Echo Park location, which is anticipated to open in a month. 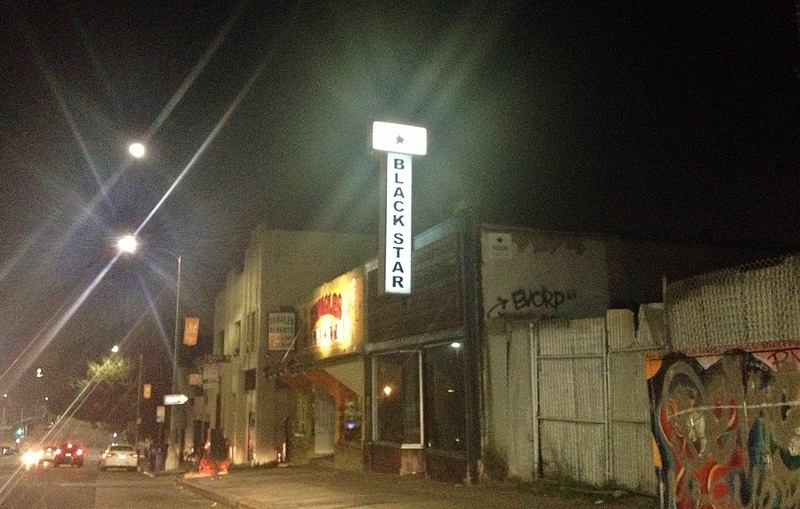 Q: Will the Black Star “store” be all retail, or will it also be a storefront for walk-ins on general contracting and/or design work? Matthew: It would be nice for it to be a sort of design co-op. It is my storage and shop for my contracting, furniture work. I may end up having an appointment-only furniture shop in the future. Q: Why did you select that particular space in Echo Park’s Hi-Fi? Matthew: My shop in Frogtown, a free-standing building, is getting torn down. I live in Echo Park so the location is ideal. I got really lucky to need a shop at the right time, and the rent is still reasonable in this neighborhood. 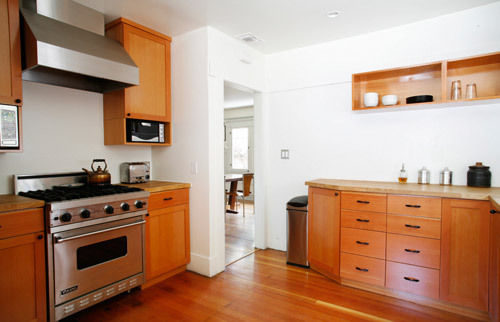 Q: Have you seen an uptick in renovations in Echo Park, and any thoughts on why? Matthew: I think people are tired of not spending money and they have more confidence that they have made it through the downturn. My business started picking up last fall. As you probably know, most of the houses being sold now are lower-quality. The good stuff is still staying off the market, so there is a bunch of work for me to be doing for new homeowners. For a look at Matthew Pope’s Black Star renovations and creative approach to homes, check out his portfolio here. 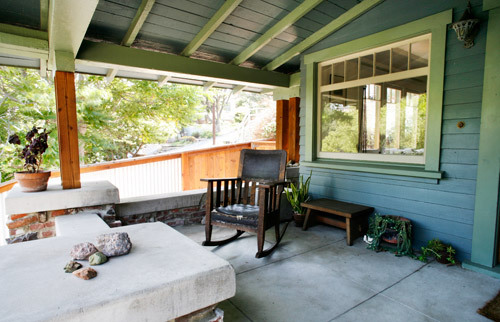 An Echo Park porch, with reclaimed brick, had the benefit of his craftsmanship, along with a new kitchen renovation. 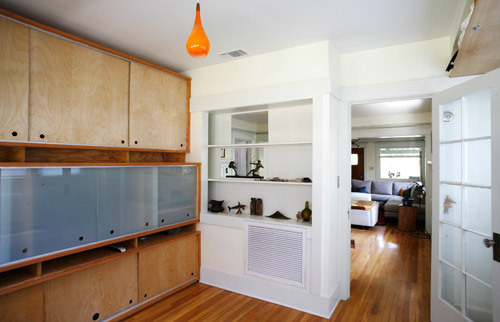 An Echo Park home with media built-ins. 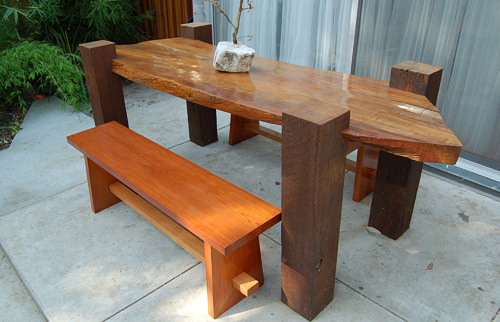 Or, a redwood koa table with benches. Once the space is up and running, another blog post to follow on its soft opening.